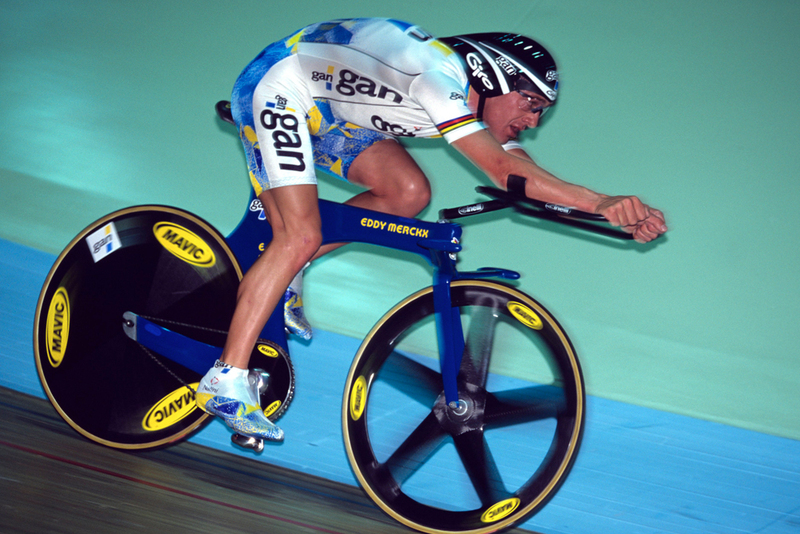 Cycling Weekly has learned that the UCI is planning significant changes to the world Hour Record. The controversial ‘athlete’s hour’ rules, which specified that attempts had to be made on equipment as similar as possible to that used by Eddy Merckx for his record in 1972, are to be scrapped. Instead, the rules will be unified with those for current track pursuit bikes. The present record of 49.7km set by the Czech rider Ondrej Sosenka under the old-style ‘athlete’s’ rules will remain the distance that new record aspirants have to beat. The changes mean that the sequence of records set in the 1980s and 90s by riders including Graeme Obree and Chris Boardman which were removed from the record books in 2000 following the introduction of the ‘athlete’s’ rules will be reinstated, despite the fact that this means the record distance will go down from 56.374km in 1996 to 49.441km in 2000 (both set by Chris Boardman under different rules). The new approach should also future proof the record against changes that the UCI has planned in the equipment regulations that are likely to come into force in 2016.